This research guide provides print and digital sources around resisting racism. Resisting Racism is an exhibit in Odegaard Library and the Research Commons (on display through December 31, 2017) that asks two questions: what is white supremacy? And how do people resist it? This research guide provides print and digital sources around resisting racism. 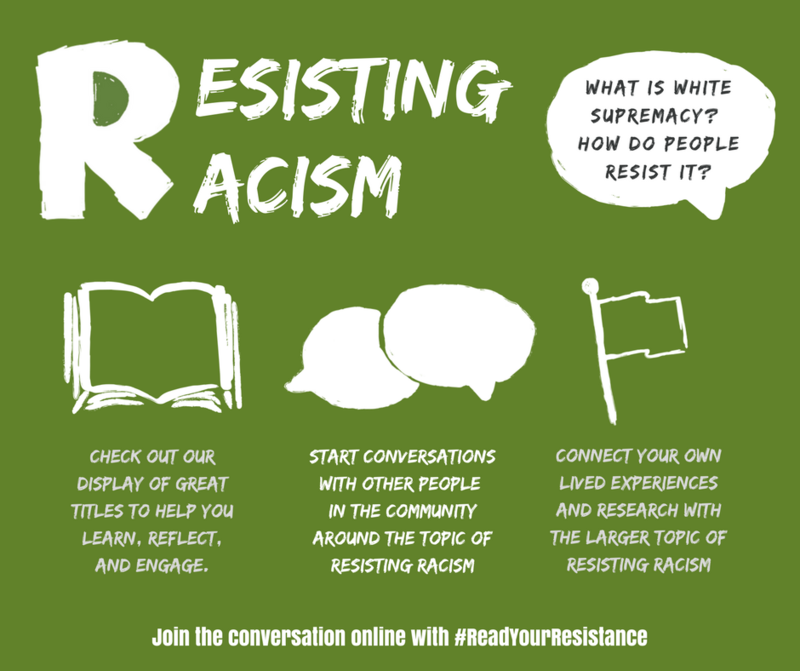 From art and fiction to scholarly journals and web videos, there are many ways folks from all communities are resisting racism. We invite you to discover new books and resources in both the Odegaard Library and the Research Commons. Scholarly articles and general interest sources in all fields. President Ana Mari Cauce launched a Race and Equity Initiative in Spring 2015 with a challenge: that all of us — students, faculty, staff and university leadership — take personal responsibility for addressing our own biases and improving our university culture. And it began with a commitment: that together we would combat the racism and inequities, both individual and institutional, that persist here and throughout our society.